The first batch of the Dangote Group tanker drivers will conclude their training in January, 2013. This was disclosed by the Director General of the Nigerian Institute of Transport Technology (NITT), Alhaji Aminu Yusuf, on Monday. 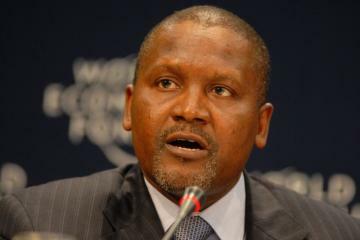 Yusuf said 2,000 drivers will be trained under the Dangote Graduate Drivers Training Scheme to become professional drivers. He reportedly explained that the training would be done in batches of 100 participants on quarterly basis over a period of four years which would end in 2016. According to him: “These graduates, which include women from the Dangote Group, will undergo a three -month training because they have no knowledge of driving before being certified as drivers. “They have graduated from different universities but have never driven vehicles before. “After being certified as drivers at the end of the training, they will be licensed immediately. “These drivers will be different from other drivers because they are not illiterates and their training is sound,’’ he said. During the training, the drivers are expected to learn the theoretical and practical aspects of driving which includes orientation, simulation and test track driving before being exposed to highway driving. It is our inherent duty to provide human capacity for the entire transport industry through training and retraining, orientation skills and development and professional training. “We feel that we should extend our services to lower cadre especially our middle level and top management training institute.